Intuitive counselor, Colette Baron-Reid, hands you the "magic wand" of your own awareness so that you can begin to perceive your life as a wonderful adventure, and see yourself as an enchanted mapmaker. Each of these aspects of your psyche has lessons for you, and each responds to your directions. 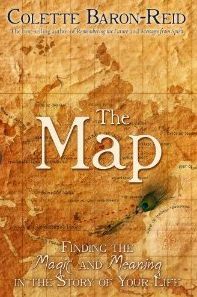 The Map invites you to boldly claim your power to direct your journey so that you may find meaning, purpose, and joy. Step into the magic, and harness the extraordinary power within you to shape your destiny.